Mariah Carey Mobbed par fans at Hotel in London! What is your favourite Mariah Carey song? Which song do toi like the best on Memoirs of An Imperfect Angel? le choix des fans: H.A.T.E.U. who do toi think deserves the titre BIGGEST SELLING FEMALE ARTIST OF ALL TIME..? 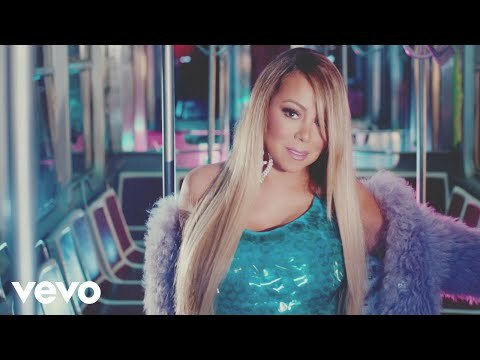 What is two of your favourite songs par Mariah Carey? Mariah Carey and her husband Nick canon, cannon have finally revealed the names of their twins who were born in Los Angeles on Saturday. Their son is named Moroccan Scott Cannon. Scott is Nick’s middle name, as well as his grandmother’s maiden name. The haut, retour au début tier of Mariah’s New York City apartment is called the Moroccan Room, because of the Moroccan-inspired decor. It’s also the place where Nick proposed to his wife, overlooking Manhattan! Mariah Carey has posed for her fair share of portraits, but none has been as personal ou emotional as these exclusive belly-baring snaps. Mere days away from welcoming her first and seconde child, Mariah proudly showed off her pregnant body to Life & Style. "I was feeling very vulnerable about taking pictures at all right now, but then I didn't want to miss this opportunity to document this once-in-a-lifetime experience," Mariah exclusively tells Life & Style. "My ultimate goal was to share this incredibly personal moment with my true fans." There has been speculation for months about who Simon Cowell will have on the judging panel for "X Factor" — some even pointing to Mariah Carey as a possibility. ESSENCE.com has received confirmation from a credible source that Carey will not be a judge on the show, despite the rumors circulating. Cowell did approach the award-winning singer/songwriter with the request but she politely declined the offer, as she is busy preparing for the arrival of her twins with husband Nick canon, cannon and écriture musique for a new album. Mariah Carey fetes her soon-to-arrive twins — and Life & Style was the only magazine invited! As Nick lovingly documented every déplacer his glowing wife Mariah Carey made on a handheld camera on March 6, it was clear he'll always be Mariah's baby. But he's about to get some welcome competition: The A-list couple had gathered an intimate group at LA's luxe Montage Beverly Hills hotel to celebrate the arrival of their twins, due in late April ou early May. Mariah Carey says now that she regrets ever having performed at a party thrown par the sons of Moammar Gadhafi. I was like, why are toi so obsessed with me? Mariah Carey showed off her winter fashion as the singer/superstar stepped out in the freezing conditions. a question a été ajouté: Mariah Carey loved Aaliyah? a comment was made to the poll: What is your favourite Mariah Carey song? True/False:mariah is the only female artist who had 7 albums triple platinum in the usa? Does anyone know when her new album will be realised? It's Official, Maria is now a judge on American Idol! blind asian guy sings "When I Saw You"